Tyler Barineaux | . tybee's take on style .
. tybee's take on style . Hi bloggers, this is one of the two outfits I created for the AVENUE Model’s Casting for Round 2, the theme was baroque. I ended up using almost all women’s items, which I thought was fun to do. I had as much fun making it, as much as I stressed over it. I will definitely post the second outfit in the next week or so. Also, thank you so so much to two of my closest friends, Amita Yorcliffe who gifted this to me for Christmas, and Badon Rain who did such an amazing job (as usual) creating this picture. 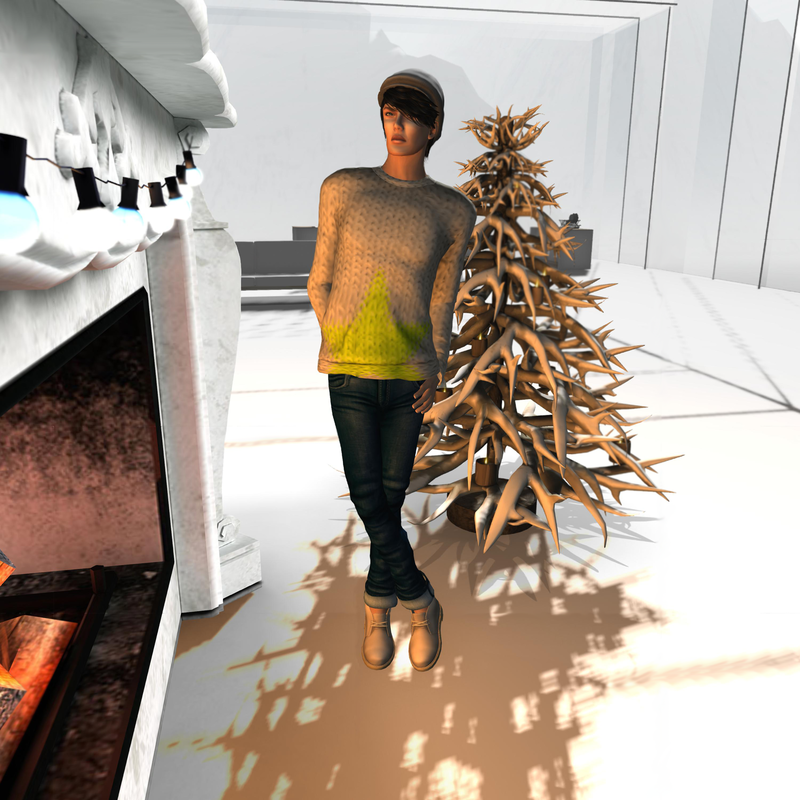 *LODE*, in my opinion – one of the best hat shops in Second Life, but who really cares what I think? Anyways, *LODE* Hats by Chirzaka Vlodovic has released a brand new version of the Fredi hat which I blogged a while ago. This version comes with 6 unique textures that are very different than it’s predecessor. Chirzaka has done a great job with it and maybe it’ll get you some smooches from pretty women like it did for me. Go get one of your own now! Hello bloggers! I’ve recently not been blogging as often as I was before because I’ve been working on my outfits for the AVENUE Models Casting, which has taken up a lot of my time, BUT I am finally done and submitted my stylings. I’ll be sure to post them soon once a picture I had done for one of them is complete so keep an eye out. Also, my friend Absinthe asked me to join her in 2 spreads in the latest edition of AVENUE Magazine January 2013 and we tried to show off as many accessories as possible in one of assigned spreads (pictured above). It was a huge honor to make a quick appearance in a magazine I absolutely love. Please read AVENUE Magazine January 2013 for Absinthe’s style details! I hope you all had happy holidays and a fabulous New Year. Welcome to 2013! I’ve been meaning to post my style details, but thought I’d wait till after the craziness of the holidays, enjoy and more coming soon! I recently attend Miamai’s show, UNFOLD, produced by AVENUE Models and it showed some amazing new creations from Miamai’s BlackLabel collection! I mixed some of the new items from the newest collection with last year’s…hope you like it! There are some great new releases from Ladies who Lunch and the Men’s Department that just opened that I’m featuring today, hope this post makes you want to get some of the great new stuff! A quick, simple styling showcasing a newly released outfit and hat with my cat, Choupette, gifted to me for my Rez Day by my dear friend, Enzo. I have more posts on the way, but for now you can enjoy this one! In this first official post, I am featuring 3 items from the great accessories event, L’Accessoires, by groupe Le ponpon…hope you like it! My first post for my new blog will be from my photoshoot in TREND Magazine November 2012 with Wicca Merlin, my styling details are below…enjoy!